Google I/O will feature a new celebration of developers this year, with Google’s announcement of the Google Play Awards. 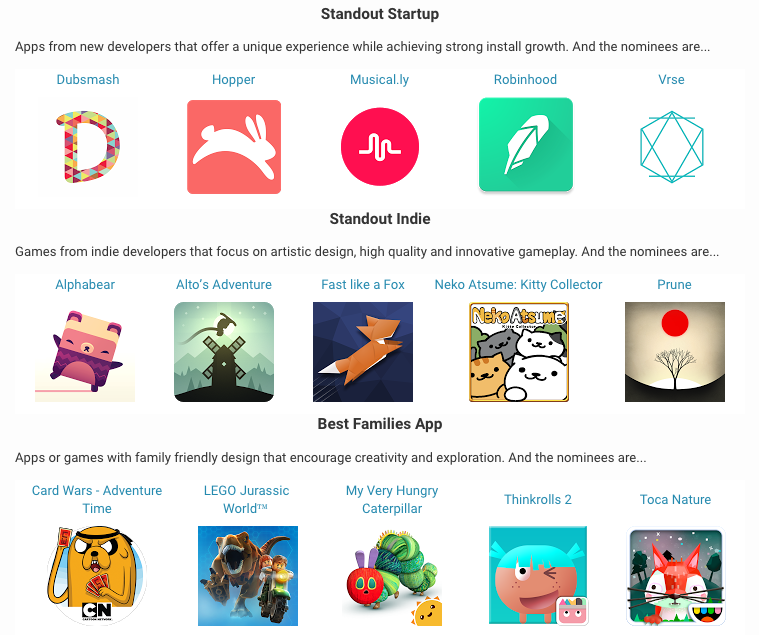 These awards will be given out to developers in several different categories, such as Standout Startup, Best Families App, and Best Use of Google Play Game Services. 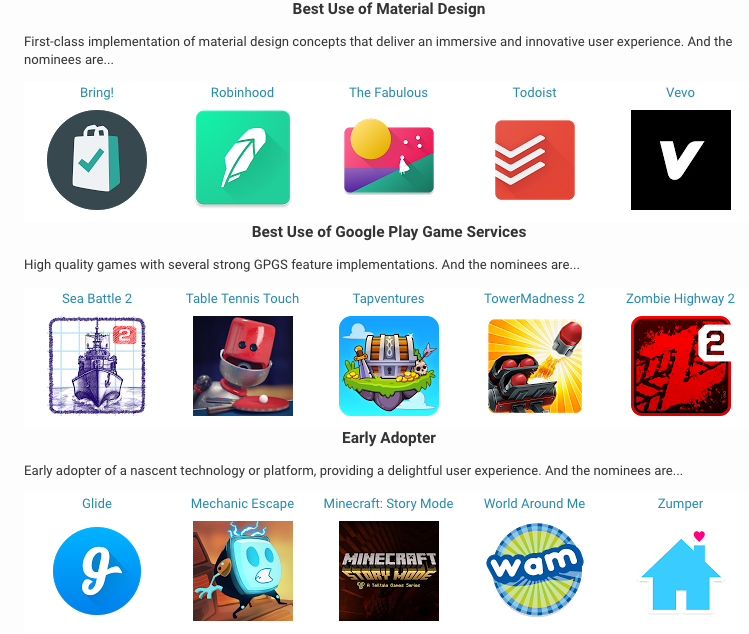 Interestingly enough, Google already has its nominees, selected by a “panel of experts on the Google Play team,” and the public’s voice appears to have no say in who will win. It’s all up to Google. A few of the nominees include Alto’s Adventure (woot!) 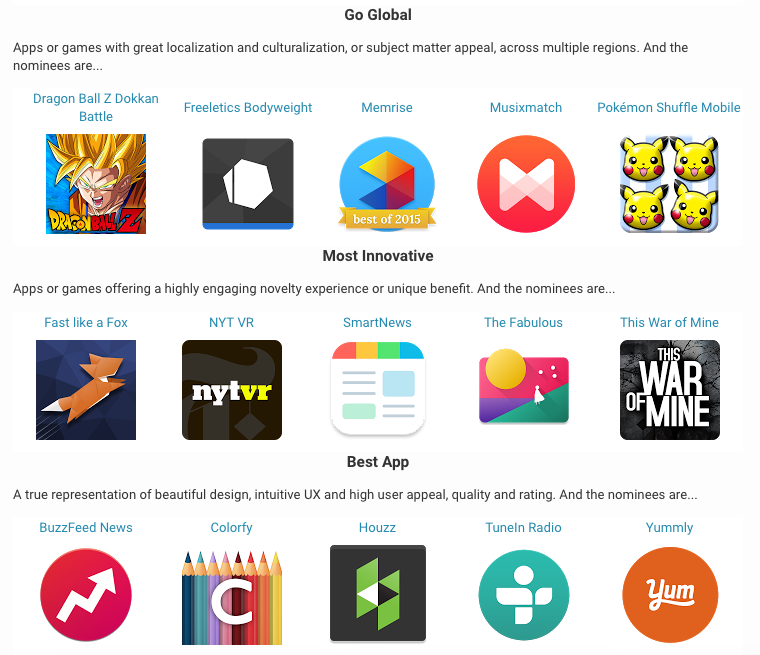 for Standout Indie, Todoist for Best Use of Material Design, and This War of Mine for Most Innovative. Looking over the list, there are a couple interesting choices by Google. One that sticks out to me is Vevo being nominated for Best Use of Material Design. C’mon, Google, there has to be a better choice. 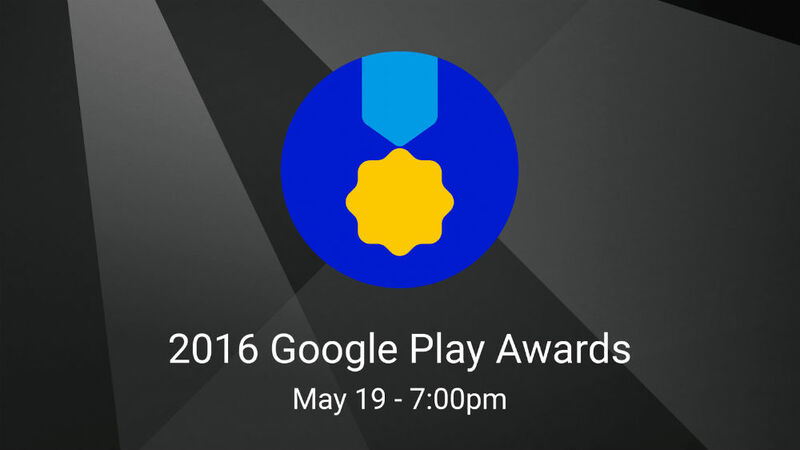 A winners ceremony will be held next month at Google I/O. How exciting. Go over the complete list of nominees and categories below, then share your thoughts on who you think should go home with the win.